Proper lighting can transform any room. Aside from adding personality to your home, it can also add a sense of your style and enhance each room’s functionality. By merely focusing on skillful lighting, you can improve the character and mood of each room, thus creating an excellent ambience. Whether you want to have a lighting makeover in your entire house or improve a specific room, you can use these five lighting tips. Time and again, it has been stated that only one layer of light is not enough to properly enhance a room’s lighting. As such, it is essential to at least have three sources of light including task lighting, accent lighting, and ambient lighting. Task lighting helps in adding extra light in spaces where you do your activities and chores such as applying makeup, preparing food or reading a book. On the other hand, ambient lighting acts as the overhead lighting and provides enough light to a specific room. Examples of these are ceiling fixtures and chandeliers. 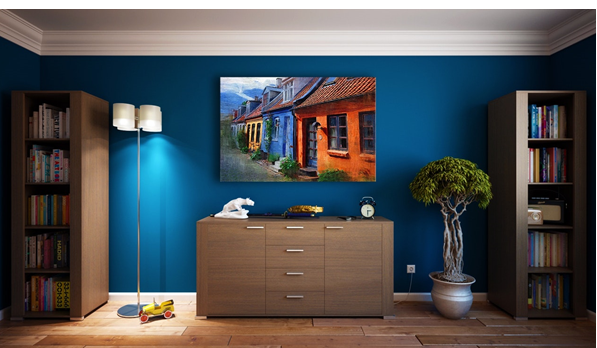 Lastly, accent lighting will highlight any artwork or cabinet corner that you have. For an added versatility, get some dimmer controls and switches. This simple thing will help provide a customizable light source that will fit your mood and your needs. You can opt to turn on the chandelier for the kids when they are doing some of their homework or dim it a little when you have guests. It’s your choice. Whatever works for you is right at your fingertips. Welcome your guests and provide a lasting first impression by merely placing lighting on your entrance. Try to hang a chandelier as a start especially when your house has a two-story foyer. On the other hand, if you have a single story, consider a ceiling fixture. A deer head light and a few sconces for your space. Aside from that, coming home to a well-lighted entrance is welcoming and makes a house a home. Good lighting when it comes to your vanity significantly helps with your daily tasks. These activities include brushing your teeth shaving or applying your makeup. You wouldn’t want to go out missing some hair on your face. To help you see yourself clearly in the mirror, consider installing a few lights near your mirror. Sconces or pendants will do the trick. Always clean your windows so natural light can come in freely. During the day, it’s best to utilize the sunlight and let some in as much as possible. Aside from being cheap, it is also simple and can make a lot of difference in a room. Now, you wouldn’t have to worry about a gloomy-looking house. Instead, with some sunshine, your home will look more inviting and beautiful. And that’s it for the five tips for lighting your home. Just by following a few of this can help a lot and make a big difference in any room. If you are on a tight budget right now, why not go and thrift shop or do a DIY?